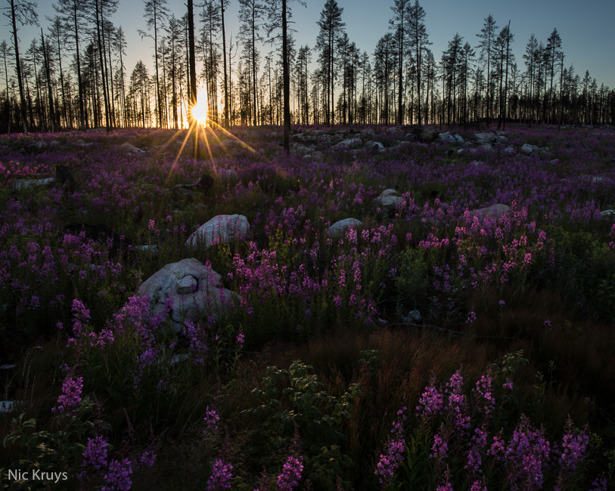 Almost two years have past since the great forest fire in Västmanland. The seemingly sterile charcoaled landscape is now being reclaimed by plants and wildlife. At the moment the ground in many parts is "on fire" with the pinky-red glow of milkweed/willowherb. A couple of weeks from now the cotton-white seeds will change the landscape again as they are blown away like fluffy clouds.